Gate City Bank’s privilege to be a hometown bank that provides excellent service that is convenient, friendly, and personalized. They are proud to be the #1 mortgage lender in North Dakota with locally approved, financed, and serviced home loans. 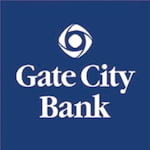 Gate City Bank is also unique in offering their checking customers FREE ATMs anywhere with unlimited ATM fee refunds. That's what it's all about here at Gate City Bank - making their financial life easier, more convenient, and more rewarding so they can enjoy a better way of life. They go beyond their commitment to offering the best checking, savings, and loan programs – they are touching lives in the communities they serve. With 36 locations in 19 communities across North Dakota and west central Minnesota, Gate City Bank shares a commitment to their customers, communities, and employees. Ive had a few car loans from a few different banks and Gate City Bank has been the worst bank in the history of banks! Also their Loan people are horrible. Total disgrace. Closing my account and hoping they go out of business.